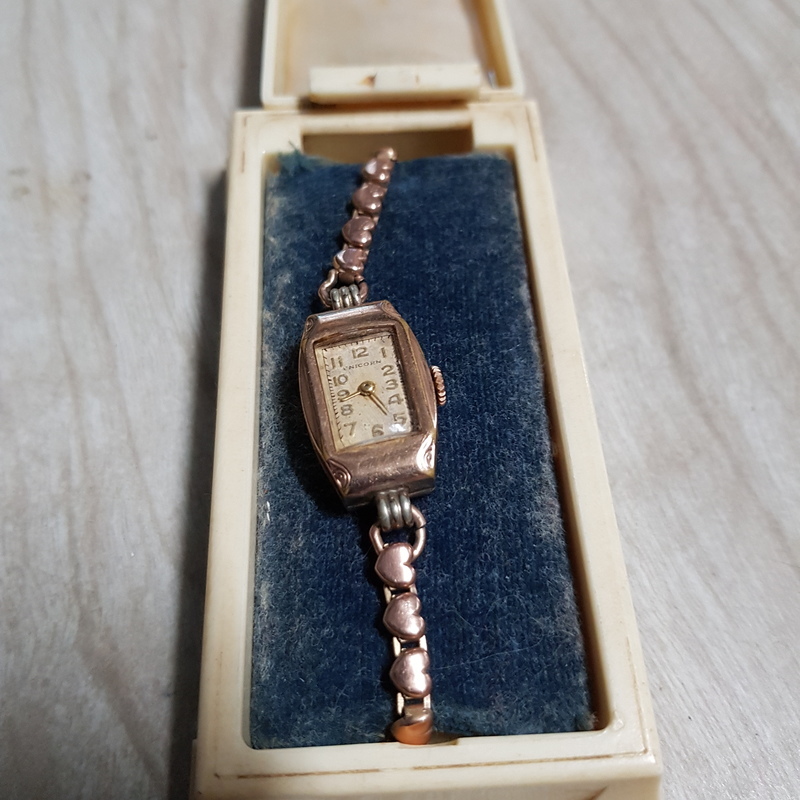 This is a vintage, 1930's, Art Deco period ladies 'cocktail' watch. The branded name 'Unicorn' is known to be a Rolex 'family' watch and were intended to be a more affordable off-brand from an actual Rolex watch at that time. Oftentimes a Unicorn watch is listed as a Rolex, however, technically it really is not a Rolex. Since this watch has no metal marks, it is safe to presume that it is rose gold toned metal and not actual gold. This comes in it's original celluloid box with deco inspired design. The watch itself is inscribed, which can impact sale value. The estimate is based on actual recent past recorded auction sales of comparables.